Top 10: Takeda’s late-stage pipeline will rely heavily on Shire drugs — but is it worth $62B? If you’re looking for some solid reasons for Takeda CEO Christophe Weber’s relentless pursuit of a $62 billion Shire buyout, you need look no further than the Japan-based company’s Q2 numbers. Takeda just posted its weakest second quarter numbers in three years, with profits down by half. And analysts are not happy with Takeda’s late-stage pipeline. So how does it make up for its poor R&D performance? Mark yourself down for a point if you said Shire’s late-stage pipeline. 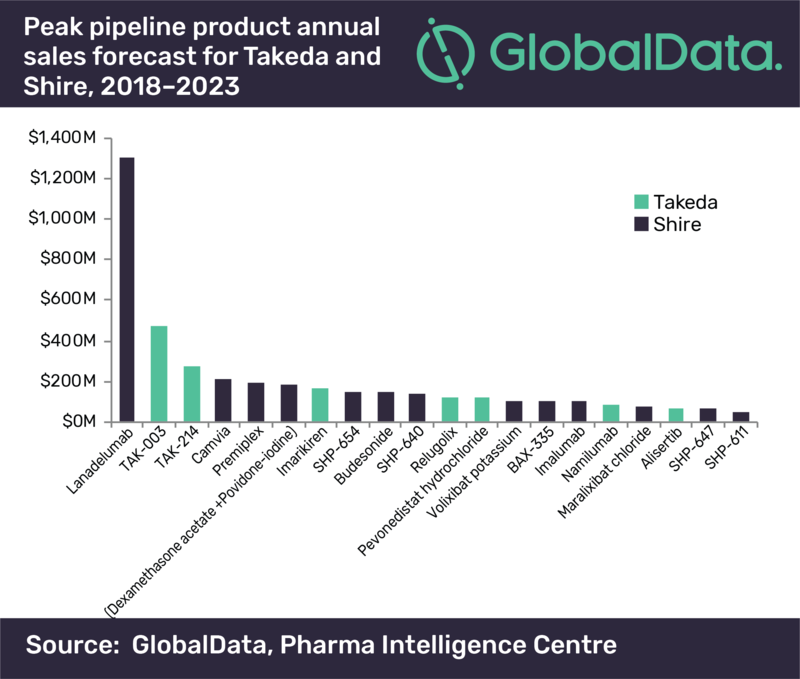 GlobalData just put together a chart on the combined 2018-2023 peak sales projections on the fully combined pipeline of the two companies, and Shire rings up 7 of the top 10 drugs that have a reasonable expectation of making it to the market. 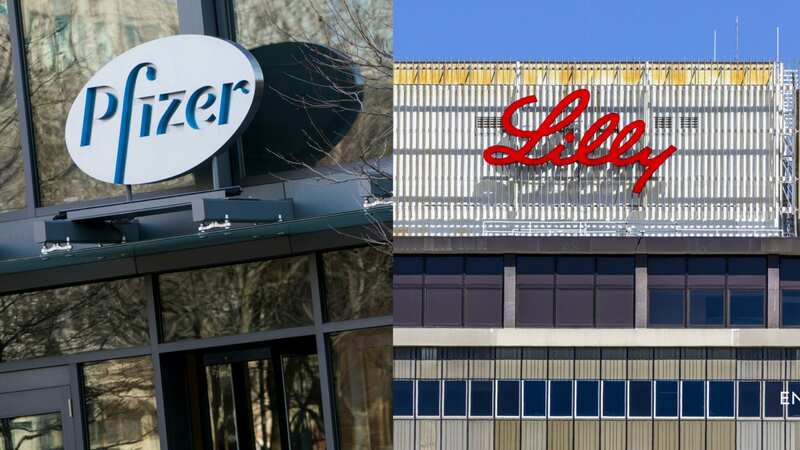 Lanadelumab, Shire’s potential $1.3 billion prospective blockbuster for HAE, looms very, very large. That drug is now under review, with good odds for a success. 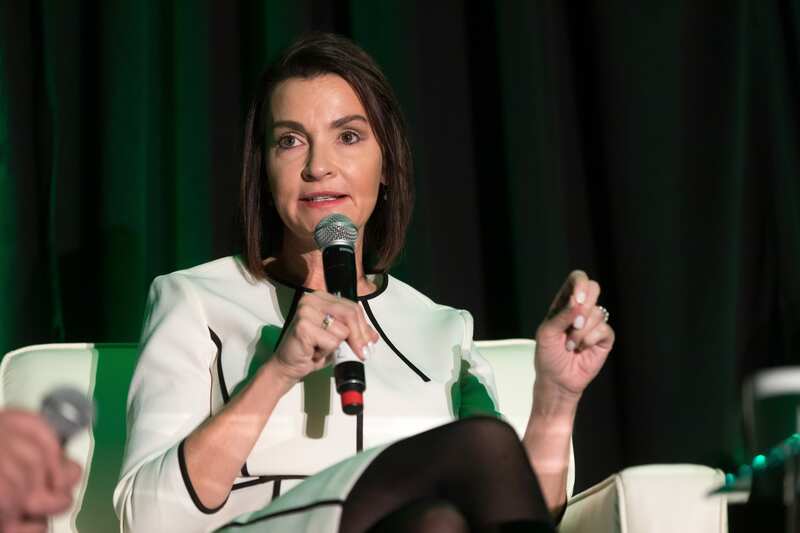 Compared to Shire’s future offerings, Takada’s own pipeline is looking a little bare, and so the company will be looking to leverage Shire’s pipeline once the merger has completed in order to reignite its stumbling operating profits. 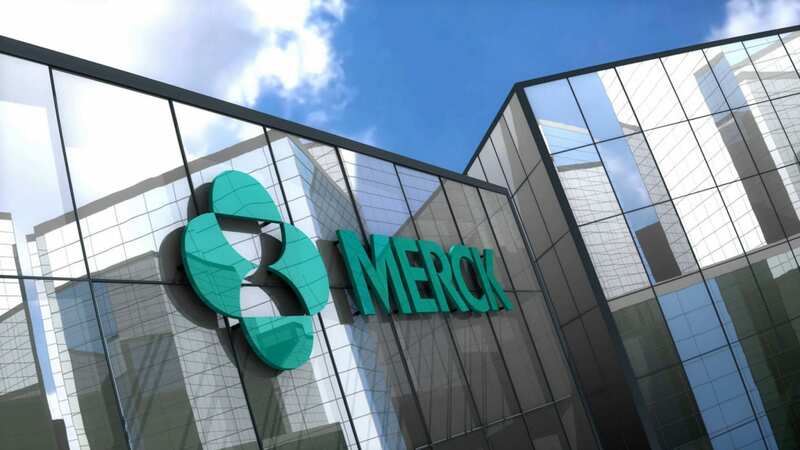 The top 10 include lanadelumab, TAK-oo3 (a dengue vaccine that could substitute for Dengvaxia), TAK-214 (another vaccine), camvia (maribavir, Shire’s breakthrough drug for CMV infections), premiplex, dexamethasone acetate + povidone-iodone, imarikiren, SHP-654, budesonide and SHP-640. Not on the list: SHP-626 for NASH. Shire’s Q2 release today says that the company announced in June that it was tanking the program. But it escaped my attention and doesn’t seem to have made it into any release. If GlobalData’s chart has everything to look forward to, Takeda is looking at a lot of shots on goal, but only one near-term blockbuster. Does that add up to $62 billion?